The work we did together has not just given me a much better voice – with more truth, range and resonance – it has made me a better actor. Cathleen McCarron is a voice, text and accent coach, as well as an award-winning audiobook narrator. As a voice coach, she is currently based at the Royal Shakespeare Company. Prior to this she was based at the National Theatre. For the RSC, Cathleen is currently coaching Kimberley Sykes production of As You Like It, which opens in February 2019 at the Royal Shakespeare Theatre, Stratford-upon-Avon. Other recent coaching credits for the RSC include Troilus and Cressida directed by Gregory Doran, The Merry Wives of Windsor directed by Fiona Laird, The Duchess of Malfi directed by Maria Aberg, an update of Mary Pix’s restoration comedy The Beau Defeated entitled The Fantastic Follies of Mrs Rich directed by Jo Davies, David Edgar’s adaptation of A Christmas Carol directed by Rachel Kavanaugh, Janice Honeyman’s production of Phil Porter’s Vice Versa and Owen Horsley’s production of Oscar Wilde’s Salome. As an audiobook narrator, she has recorded over 50 titles ranging from psychological thrillers to historical fiction, from contemporary comedy to autobiography. 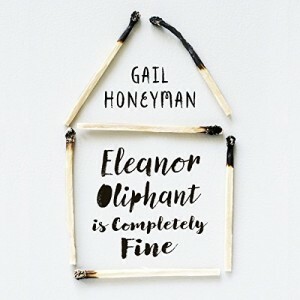 Her recording of Gail Honeyman’s bestseller Eleanor Oliphant is Completely Fine won the 2018 Audie Award for Best Fiction Audiobook, a US Audiofile Earphones Award and a Silver Award in the Radio Indies Group’s UK Audio Production Awards 2017. It was named on several “Best of 2017″ lists including those of Audible.com and the American Library Association and was nominated for a 2018 British Book Award for Best Audiobook. You can hear samples of the many books Cathleen has narrated here. Cathleen holds a MA in Voice Studies with Distinction from the Royal Central School of Speech & Drama, a BA in Acting from the Royal Conservatoire of Scotland and a MA (First Class Honours) in Politics from Edinburgh University.